Have you ever wondered what happens to frogs in winter? Where do they go when the temperatures drop and the snow flies? In late autumn, frogs will settle into the mud at the bottom of a pond. They don't freeze solid because frogs have a way to increase the amount of glucose in their bodies. Glucose is a form of sugar, and it creates a sort of antifreeze that keeps the frogs cells from freezing while they hibernate. Frogs also change the way they breathe! They take in oxygen from the pond water right through their skin, so they never need to come to the surface until spring. In this activity, you and your child will create a tasty treat that will teach your child exactly how frogs survive a freezing season. Begin by talking with your child about how different animals survive during the coldest months. Some animals, like dogs and wolves, grow thicker fur. Birds fly away to warmer climates. Bears find a cozy cave to hibernate the winter months away. People add layers of clothing to stay warm. But frogs have no fur, and cannot fly away or put on a coat. They hibernate instead! Add about 3-4 spoonfuls of chocolate pudding to your clear plastic cup to represent the mud. Place the gummy frog on the pudding. Don't push it too deep; frogs like to stay mostly on top of the mud! 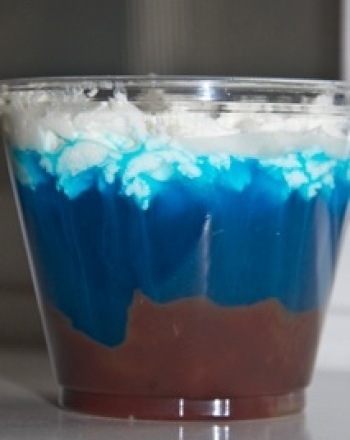 Spoon the gelatin on top of the frog and the mud, until the the plastic cup is 3/4 full. This represents the pond water. Add the whipped topping, which represents snow on top of the gelatin. How would the bottom of a muddy pond be a safe place for the frog to spend the winter? Think about animals that might hunt the frogs, or how the weather might change above the pond surface. Not all frogs live near ponds. Where do you think these frogs might go to spend the winter? How do you think frogs know when to "wake up" in the spring? What might be a signal that winter is over? 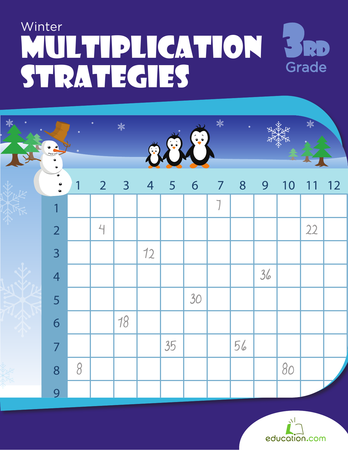 Let your child's double-digit division skills dazzle you with this winter-themed worksheet! Think toads and frogs are the same? Think again! 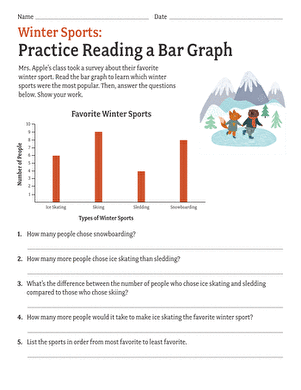 Check out this breakdown of the differences between the two, complete with a quiz to check your new knowledge.